The cloud is a computer term to describe off-site data storage. Rather than running programs and storing data on a personal computer or company servers, all programs and data are run from computers hosted by a software company. Cloud software can be used for any business process, from managing emails and documents to financial accounting and reporting. 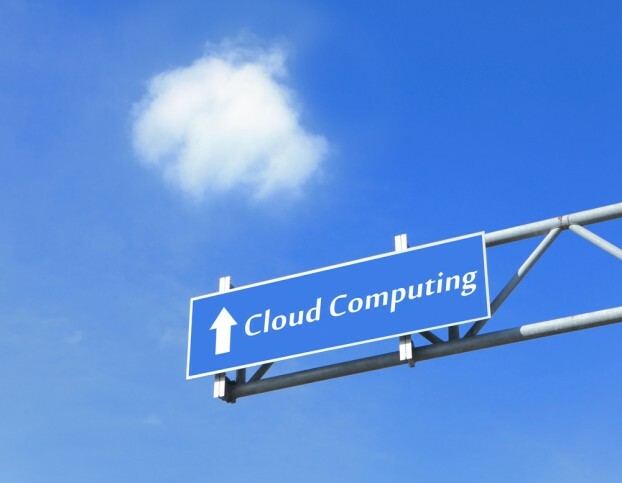 Many people use cloud computing without realizing. Webmail and Google documents are both forms of cloud computer, all data is stored securely off-site. One software solution which is growing on the cloud is enterprise resource planning (ERP). ERP is business management software that can process data from all areas of a business and generate constantly updated reports in one central location. These reports are then used by managers to obtain an overview of business productivity. Cloud ERP solutions allow business managers to access company data and collaborate with other managers from any location. ERP solutions are designed to be compatible with standard computers and most business systems. Front-end users input information and this is reported immediately. Management can see how their company is performing in real-time; gone are the days of waiting for the management accountant to present a report. With cloud computing you are essentially outsourcing your IT department. Cloud computing allows you to run state-of-the art computer software without the costs of buying expensive computer programs and hiring an IT manager to set-up and maintain the systems. Most businesses spend around 80% of their IT budget on routine maintenance. Outsourcing can actually reduce costs. New software requires modern computers to run on, whereas most cloud based programs are accessed via a standard Internet browser. The benefits of using cloud technology are not just savings on software and IT management, but also on hardware. Another major benefit of cloud technology is security and contingency planning. If all of your data is stored on your own computer hard drive, a hard drive failure, fire or burglary could destroy all business data in an instant. With cloud-based systems all data is stored securely and backed up frequently, and should an office be burgled, confidential company information will not be passed to criminals. Cloud computing is an excellent choice for start-up businesses because systems can be put into place extremely quickly. With just a laptop an entrepreneur can run management reports, back up data and access accounts from anywhere. Entrepreneurs who travel a lot benefit hugely by having access to their company data at all times. As a business grows, its computing needs will also increase. Outsourcing to the cloud allows a business to expand rapidly without the need to upgrade IT systems. Cloud services have practically unlimited scalability. If a company needs to move into a larger office it is just a case of moving computers and setting up a broadband service. During the early stages of a new business plans often change frequently. In-house IT systems can delay the implementation of new plans, and increase costs. Cloud computing increases business agility as service modules can quickly be adjusted, replaced or added to by the software supplier. Cloud based solutions are able to provide a near seamless change while the business can focus on developing new products. Cloud computing solutions can also provide some unexpected benefits for an entrepreneur. If an entrepreneur decides to launch a second business, the same cloud systems can be used to duplicate the processes that have been developed already. This can save a lot of time, and again, it keeps the hardware and IT costs to a minimum. Some businesses also re-sell cloud solutions. If a business develops a successful system with the cloud computing company that addresses a particular issue that is only found in some specific types of business, they may then be able to sell the system to other businesses that are hoping to achieve the same goals. IX-Webhosting helps you build your website, design it, protect it and keep track of traffic. It offers three different packages in Linux hosting namely the Expert plan, Unlimited Pro and the Business Plus. There are hundreds of IX-Webhosting coupons available for those who wish to create their own websites and save money on it.